Argus Owners Michael and Vera. 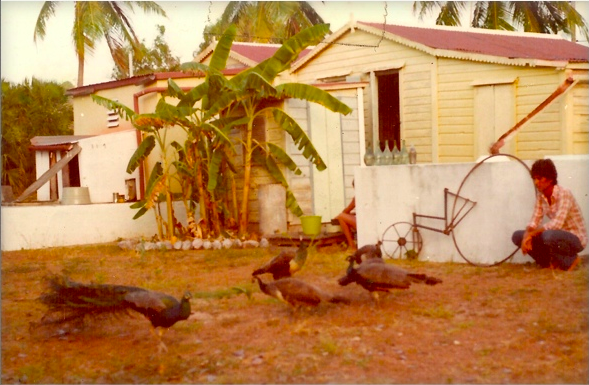 Virgin Territories is Vera Graaf’s forthcoming memoir about owning and operating a movie theater in the British Virgin Islands. A young German/American couple, idealistic, adventurous, and with a little money to burn, decide to open a cinema on a Caribbean island. In the fall of 1974 they land on Virgin Gorda, the most remote of the British Virgins, determined to bring the intriguing world of motion pictures to this place that has never seen movies before. Although an old Hollywood pro warns the couple to stay away from the movie venture, they ignore his advice and take the plunge. As predicted, the battle begins right away. The West Indian bureaucracy prohibits the initially envisioned outdoor cinema, plus it requires dozens of permits and licenses, fees and regulations. Theater and film equipment are hard to find and much more expensive than previously imagined. Many of the movies the couple want to show, especially the popular Kung Fu and Karate flicks that the islanders love, cannot be screened on their 16 mm equipment. 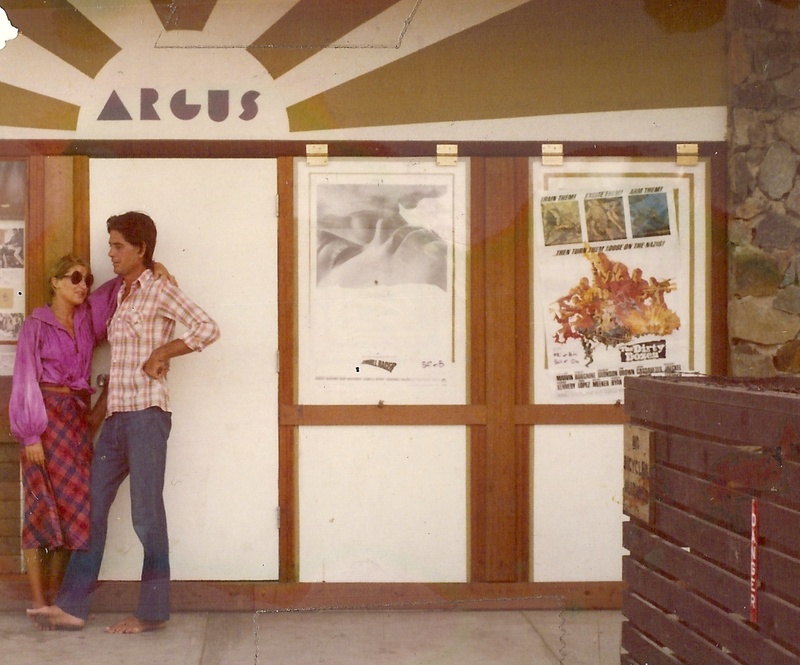 In spite of all hurdles, the Argus Cinema prevails, and in the spring of 1975 it proudly celebrates its grand opening. Over time, the Argus experiences crowd pleasers such as “The Sound of Music” and the “Ten Commandments”, but then hits a heavy dry spell of empty seats with “The Getaway”, “The Odd Couple” and “Love Story”. Through highs and lows, the young couple fall under the spell of the island, facing greedy landlords, the criticism of visiting mothers, and some pesky and very mysterious island ghosts. Just as they begin to put down roots, they must realize that the Argus will never be a money-maker. And worse: it turns out that what little money they take in stems from an unsavory source. After barely a year of dramatic and often hilarious operations, the couple reluctantly decide to close their cinema. But since they’re a spirited lot, they take a cue from one of their movies, “The Getaway”, planning their own dramatic escape. They’re picked up by a mysterious boat in the middle of the night, leaving behind an shuttered cinema, some restless ghosts and a baffled lot of islanders who will inscribe their names forever in the annals of their island as “the Godfather” and “the Godmother”.